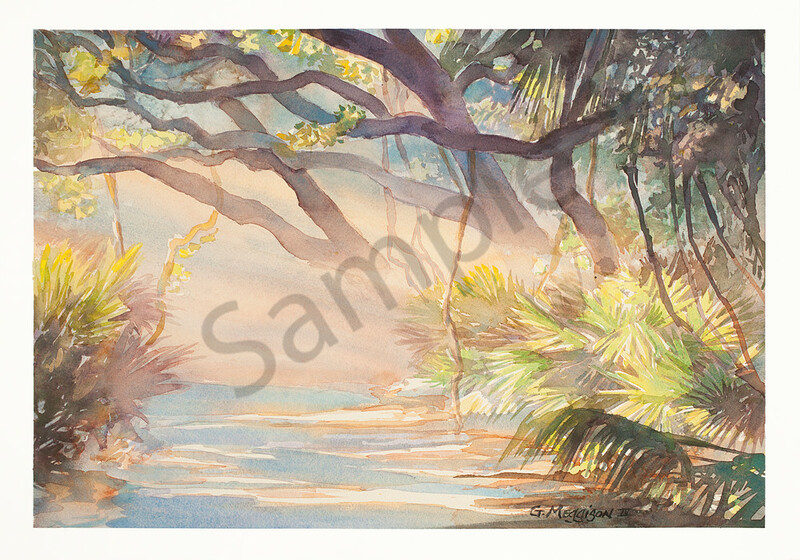 Forest Hymn is a 20"x14" Watercolor on 140 lb. Arches Cold Press Paper. ( See wall preview option below and select your room type and size preference to get a better view in relation to the art). Forest Hymn is about one of the most beautiful roads in north Florida, Ft George Road. It is a hidden gem, and very historic (pirates, plantations, slaves, civil war) and still a strong preserved feeling of an old "Florida as paradise". (See wall preview option below and select your room type and size preference to get a better view in relation to the art). Forest Hymn is a 20" X 14" watercolor on 140 lb. Arches cold press paper. (I recommend printing on Fine Art Paper. Select "Wall Preview" below for a room type, size and wall color to better view the art). Forest Hymn is about one of the most beautiful roads in north Florida, Ft George Rd. It is a hidden gem, and very historic (pirates, plantations, slaves, civil war) and still a strong preserved feeling of an old "Florida as paradise". (I recommend printing on Fine Art Paper. Select "Wall Preview" below for a room type, size and wall color to better view the art).